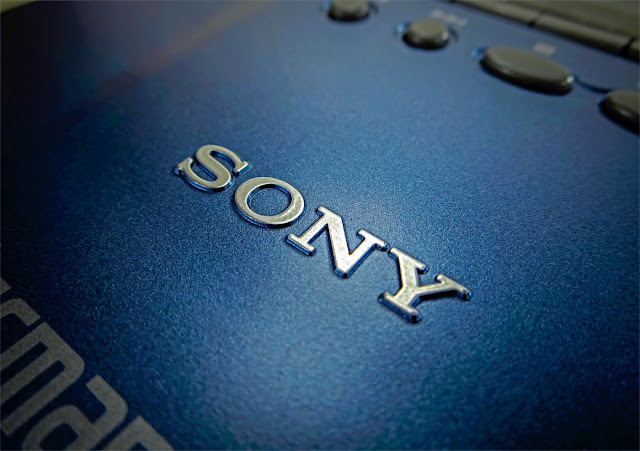 The Sony D-E555 was released one year (or a few months; were not able to find out the correct date) after the D-E705 and it happens to be very similar in every way. The only major, immediately visible difference is the design. IMO the design of the follow-up model isn´t exactly an improvement... though I like the blue colour (it also came in silver). Since it´s so similar to the D-E705 I won´t need to write too much about it. On the other hand, that circumstance leaves enough space that is going to be used for photographs instead. Yay! You can see on the picture above that manufacturing quality isn´t the best. It´s OK though and - I´ve mentioned it - does not differ from the D-E705. 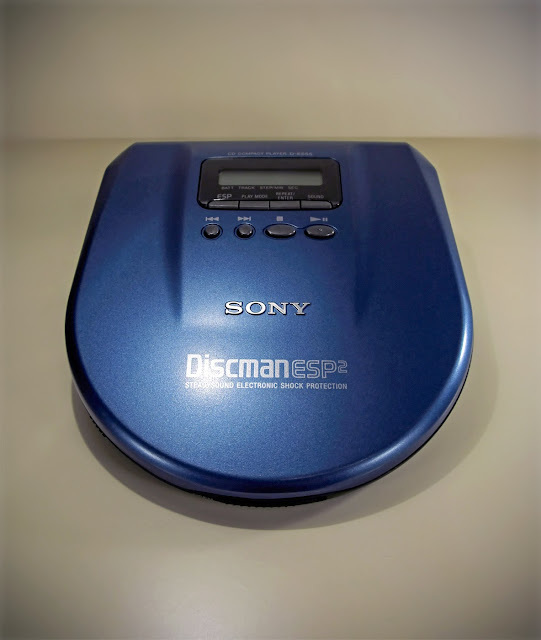 It even came with the same accessories (cabled remote control with included display, battery pack, headphone)... blegh, it´s no use, this Discman is so similar to the D-E705 that I´ll concentrate on the (botched) design with the help of the aforementionend photos. Regarding the innards of the D-E555, please have a look at the D-E705, they are the same... well, almost. 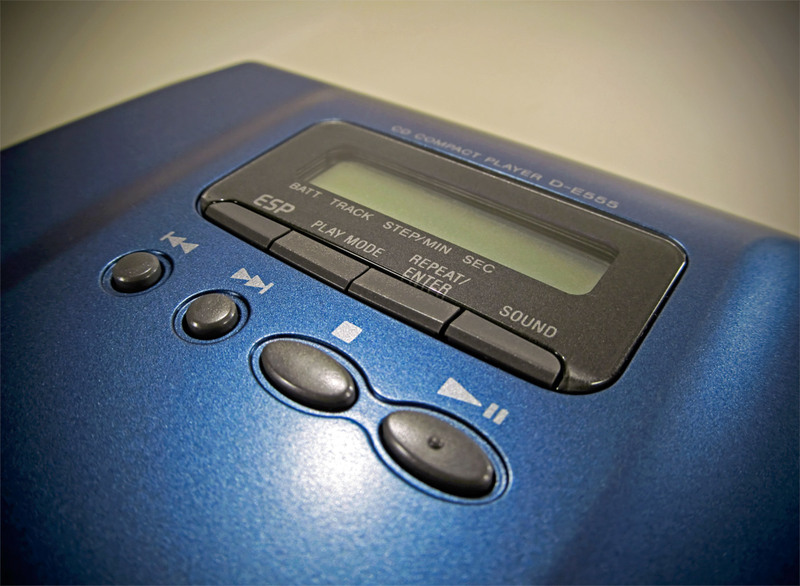 Instead of the ROHM BA3574BFS that serves as the headphone amp on the older model, the D-E555 uses the TA2120FN from Toshiba. So all important parts are now Toshiba. Funny for a Sony, isn´t it? Another thing that differs is the placement of the ICs responsible for the ESP. On the D-E705 they are soldered onto a seperate mini-PCB, hovering above the main-PCB. On the D-E555 these ICs have been incorporated on the main-PCB instead. But that´s all, at least to my layman eyes. So... time for a photograph again! 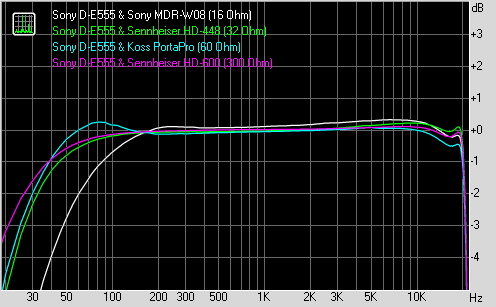 ... which won´t sound any different to the D-E705. Believe me, I´ve tried. I compared the sound produced by the D-E555 to my references, and, because I was so desperate for wanting to hear differences, to the files including the sound signature of the D-E705. 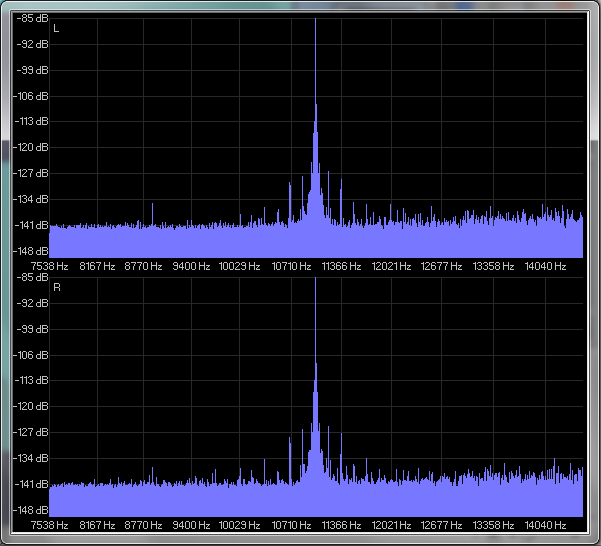 But to no avail; the D-E705 and the D-E555 sound alike. 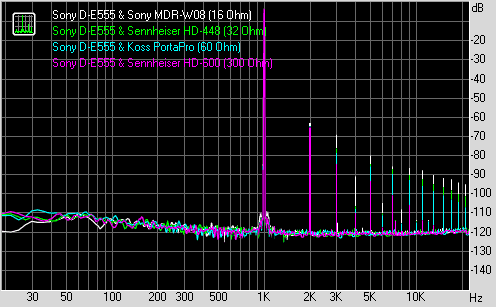 Sometimes I was under the impression that the D-E555 sounds even warmer than the former model but that impression vanished the next second with different material. 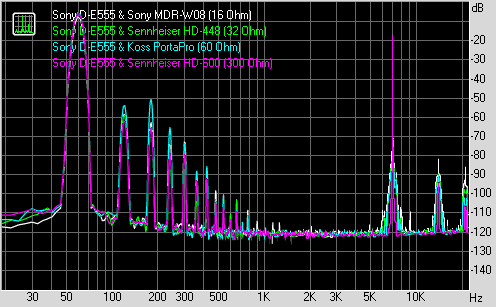 Just like the D-E705, the D-E555 sounds slightly muffled, yet it keeps differentiation. Holographic impression of the stage is still impaired by reverb that seems to be de-attached from the rest, singers still appear to sing closer to you. Shall I go on? 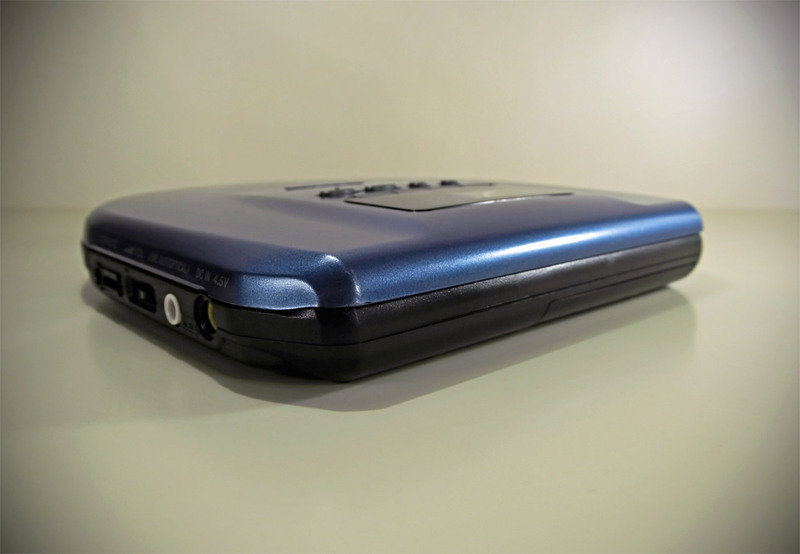 Wait, I suggest something revolutionary new: why don´t you read the review of the D-E705 again? Oh, you did? 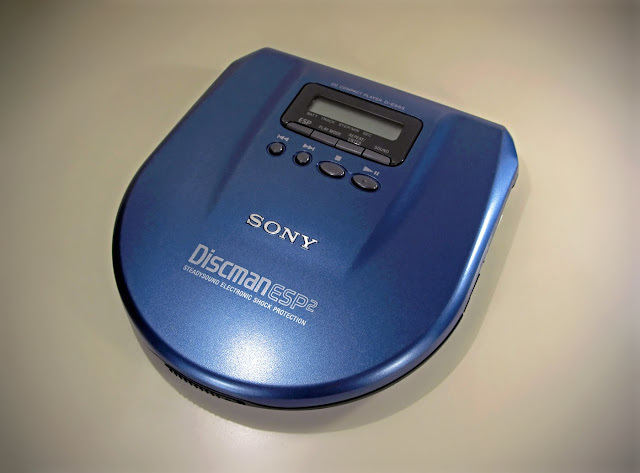 Crap, I´m starting to repeat myself... not surprising when reviewing this Discman here. 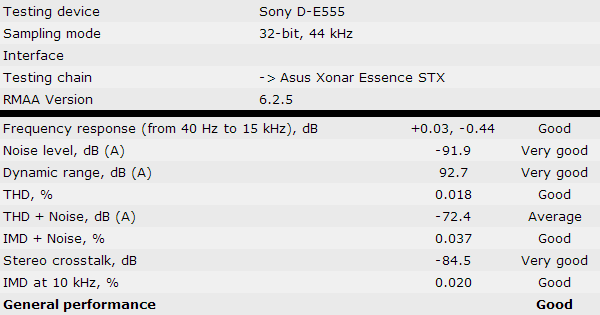 Shall I go on and bore you with the same measurement graphs you´ve already seen on the Sony D-E705? I think not. Ah, wait... maybe jitter, impulse responses? 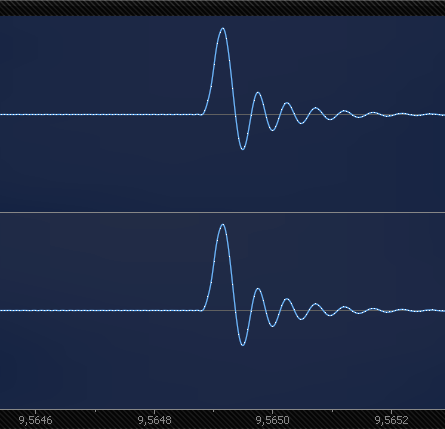 Hm, fascinating: jitter is indeed different, just a bit. The thin spread I talked about in the review of the D-E705 has disappeared, instead the spread at the base of the sine got louder. Is this audible? I have no idea... but I don´t think so. 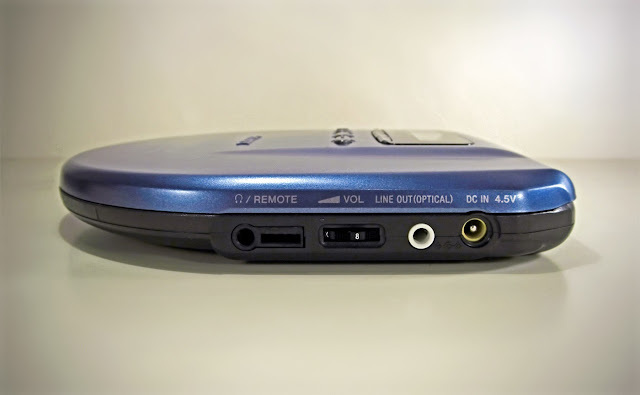 The impulse response is the same and still atypical for Sony devices. As you can see, compared to the former model, distortions have been reduced. On this model, it´s also valid to say that headphones with higher impedances will perform better. Deep bass is still missing however, so prepare yourself for a tinny sound signature through the headphone output. Not as bad as the D-E705, but still miles away from useable. Since there´s nothing else to report... you know what this means, yes? Correct, another photo! !